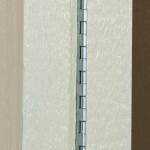 7ft. 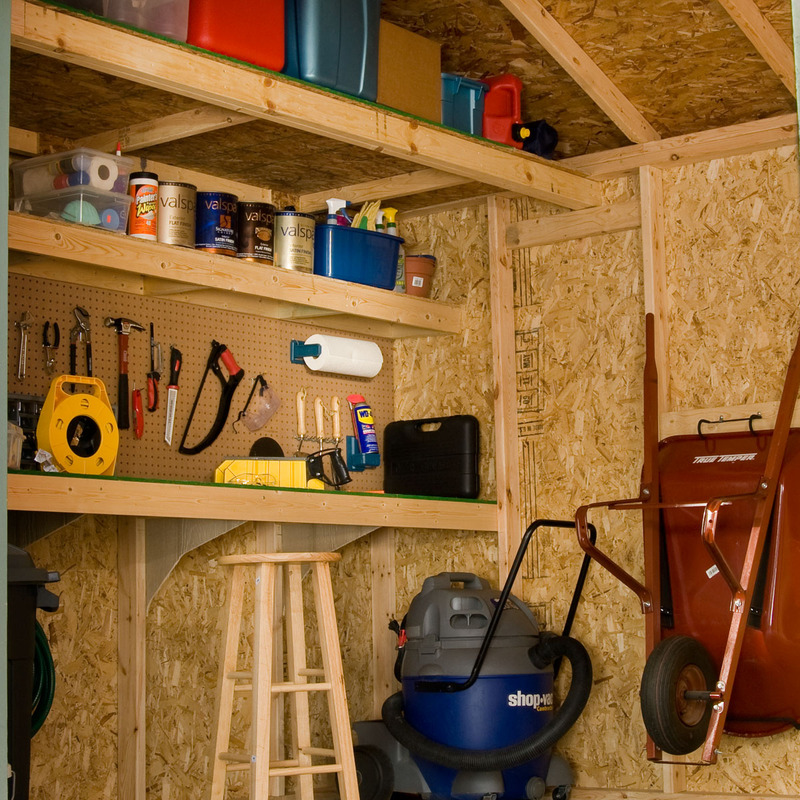 tall side walls provide ample vertical storage space for rakes, shovels, wheelbarrows and other gardening equipment. 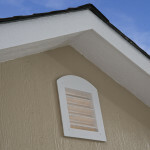 Included window, shutters and flower box will provide a charming look -and will standout in any landscape. 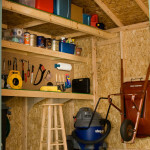 Includes a storage loft, workbench and shelf for added functionality. 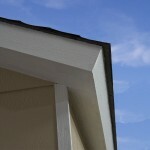 Extended roof overhangs provide a stunning profile while keeping excess moisture away from your building. 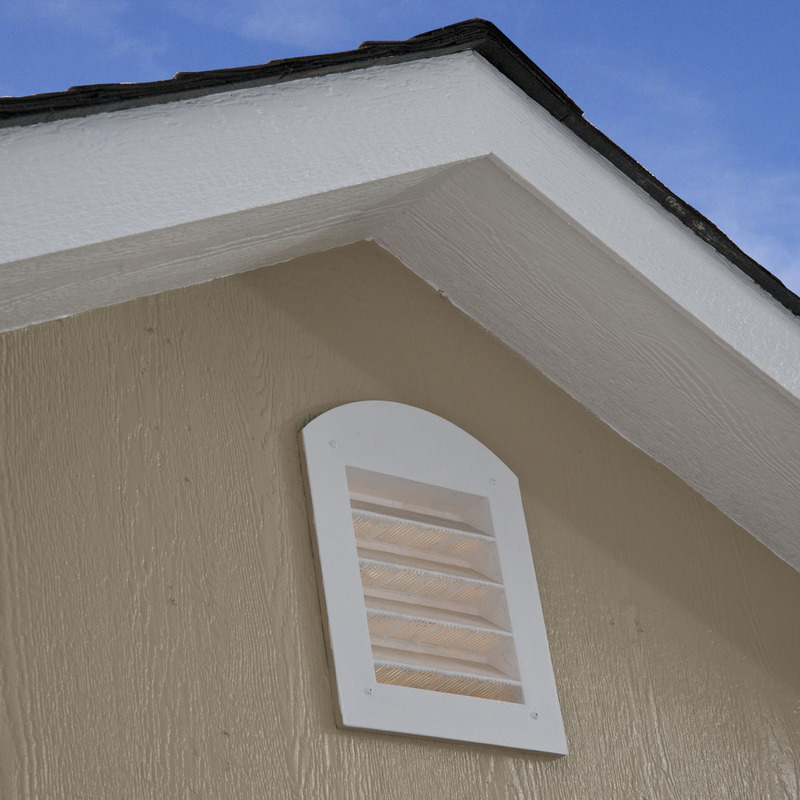 Deluxe vents let fresh air in, reduce heat and condensation. 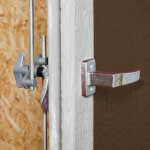 Premium 3-point locking system provides maximum security for years of continuous use. 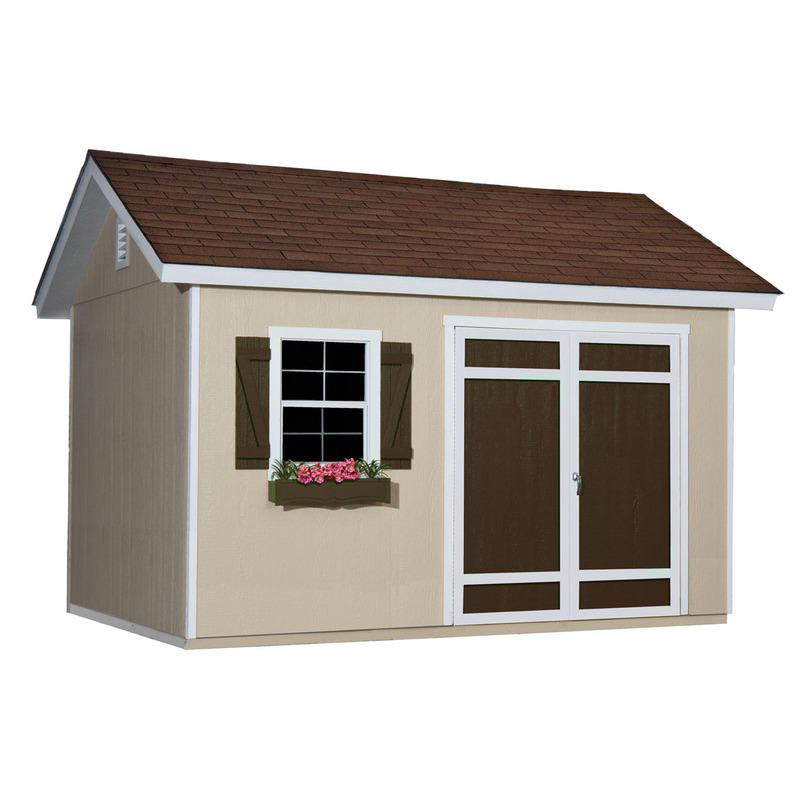 Sturdy and spacious; this elegant, craftsman-inspired design is the ultimate garden storage shed, work studio, or awesome backyard getaway. 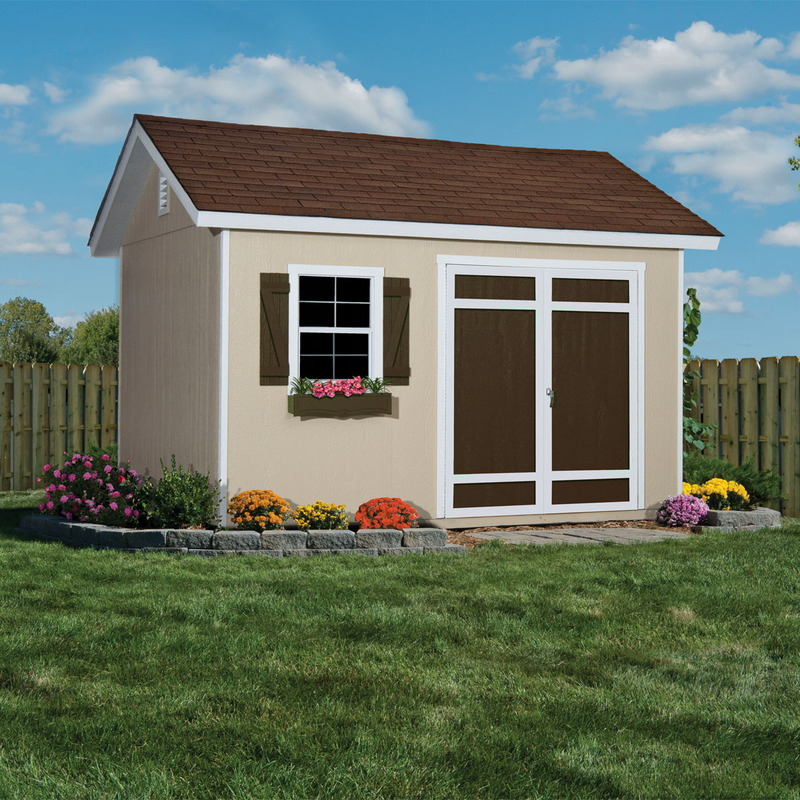 This state-of-the-art shed comes with its own loft – perfect for getting your extra belongings organized, and for keeping your work space clear and available. Extra wide, 64” double doors make it easy to wheel your larger equipment in and out, and allow plenty of fresh air on sunny summer days. 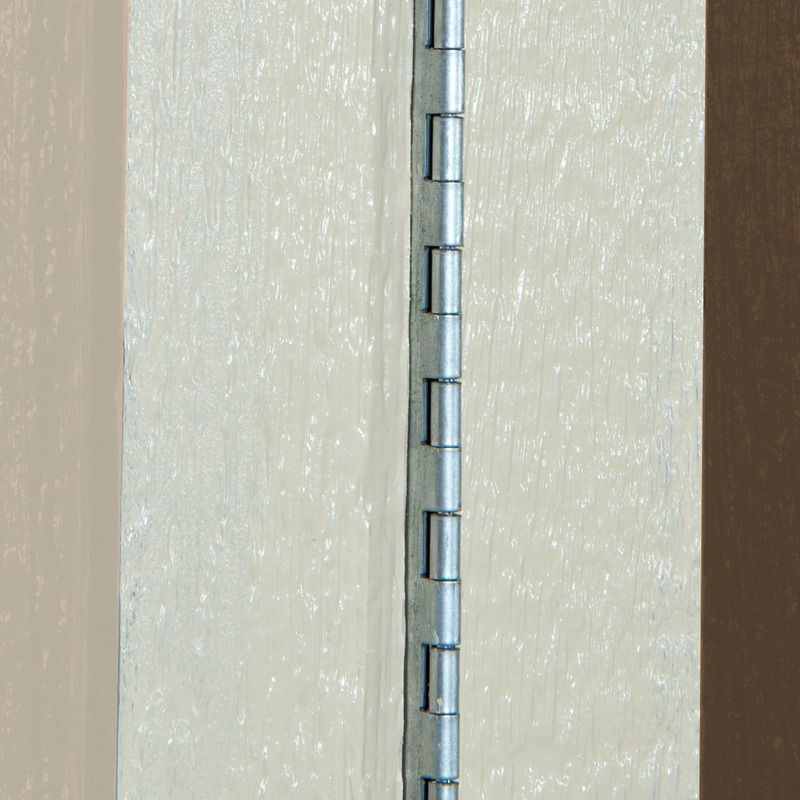 You get a 7’ sidewall height, so you can easily stow those important long-handled tools or taller equipment. 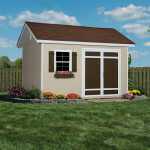 Even better, the 12'x10' Glendale comes complete with a fully-functional window, complete with shutters and an eye-catching flowerbox, and two vents. All your backyard needs are met with the Glendale; helping you meet your goals, stay organized, and live every day to its very fullest. This shed is the perfect storage solution for stowing all your important gardening tools, an exceptional spot to pot new seedlings and plants, an idyllic hideaway where you can work on your art or DIY projects, or simply a great home office. 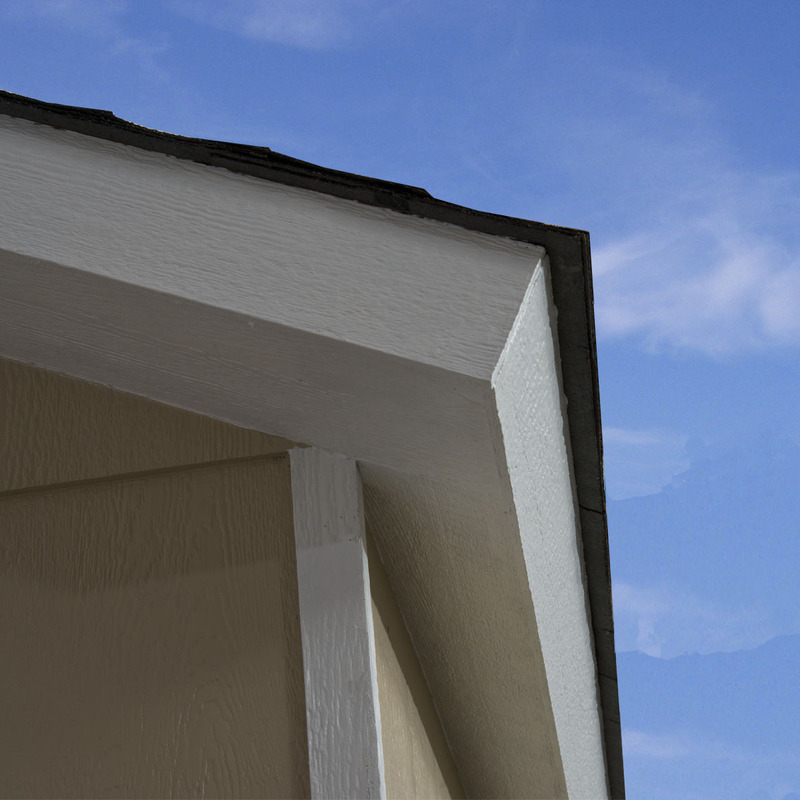 The Glendale gives you a highly functional destination that adds a dash of real style to your backyard. Of course, with the Glendale, all the best add-ons included in the package; from the huge, gorgeous window, working shutters, and flowerbox, to the organizational shelving and wide, overhead loft. 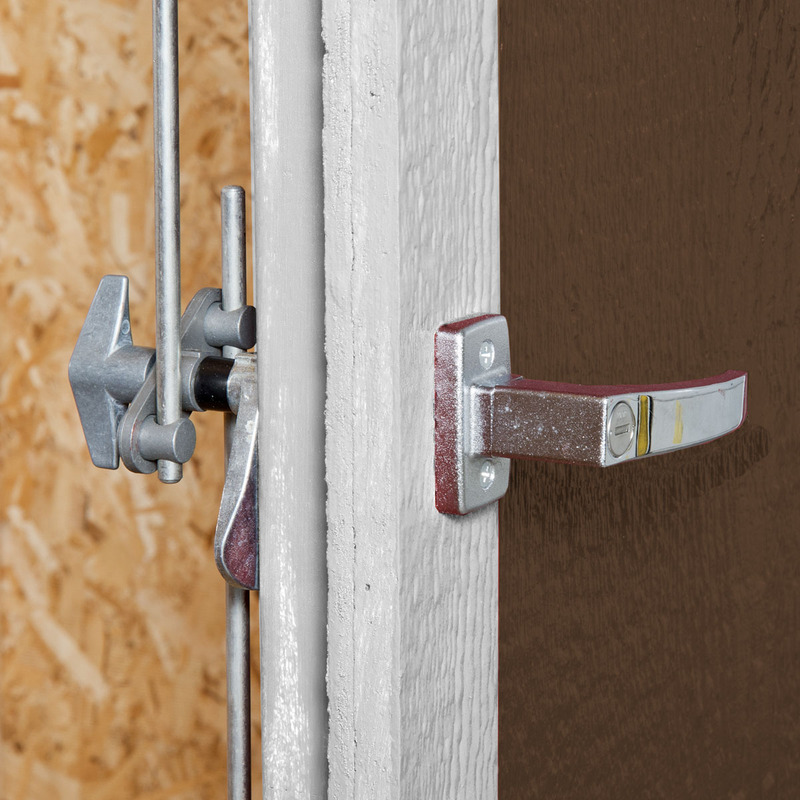 This means your shed comes all set and ready to go. 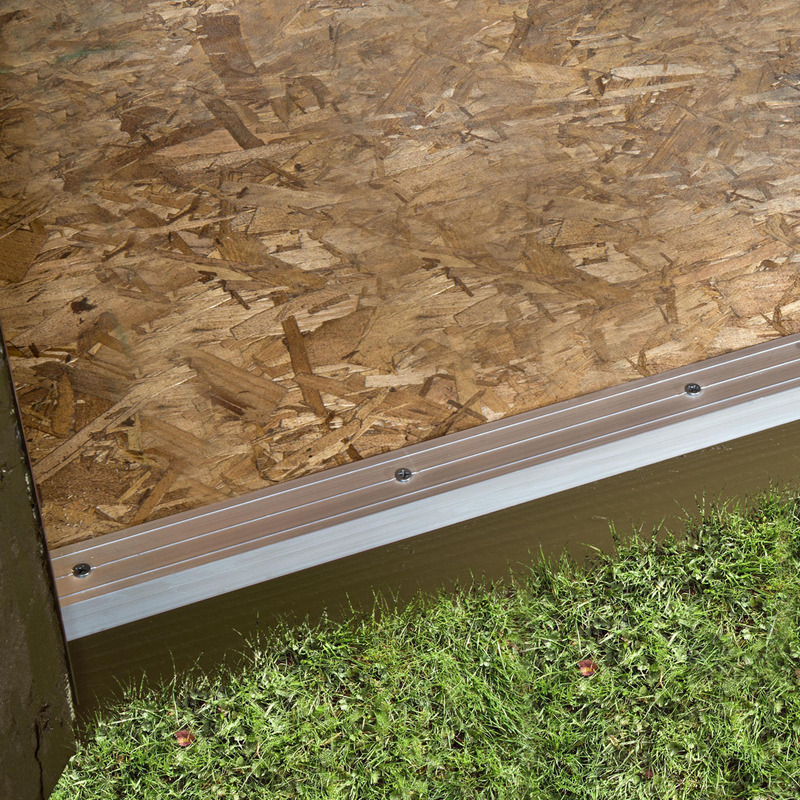 And of course, you still have tons of elements you can customize; whether you choose additional windows for even more natural light, added racks for stowing rakes or shovels, or a ramp for wheeling in heavier equipment. 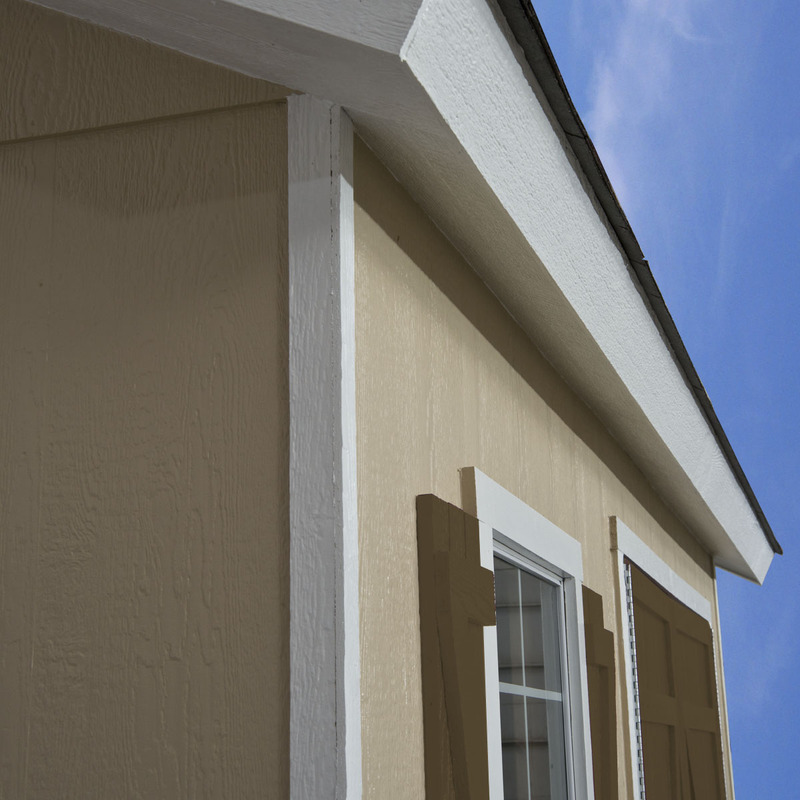 No more longing for your very own garden storage shed, no more wishing for an office where you can start that new business, and no more feeling cramped in your own home. Now, you’ve got the affordable, long-lasting solution you’ve been dreaming of – just steps from your backdoor. 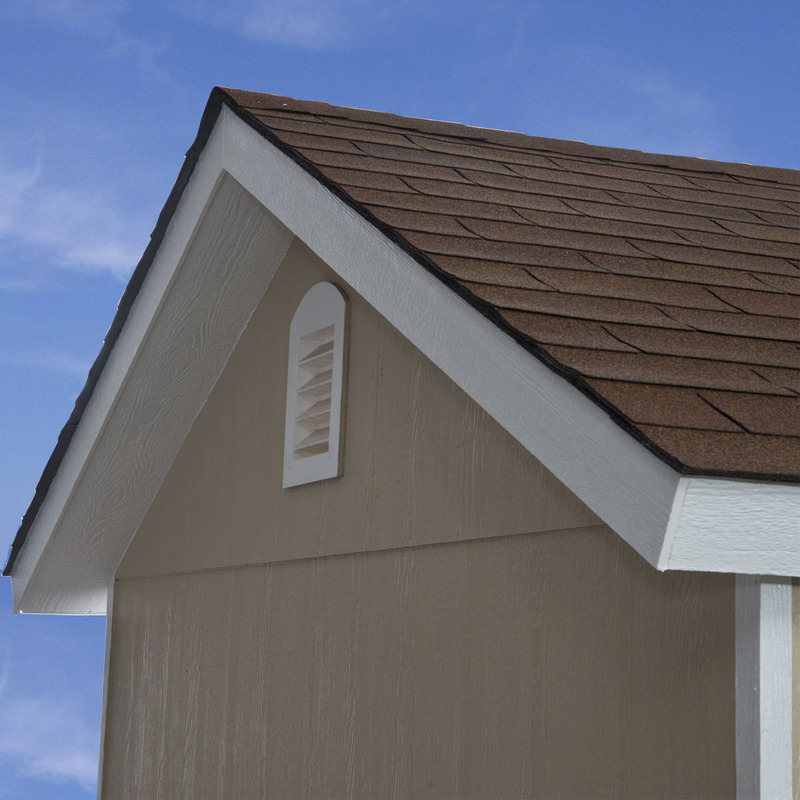 We can’t wait to give you the 12'x10' Glendale garden shed; the exceptional outdoor storage solution you’ve been searching for. Whether you’re looking for a shed for garden storage, a luxurious home office, or just a place to chill out at the end of a long day - you’re search ends here. At last, you have the dedicated space you need to make your life more convenient and organized than ever before. 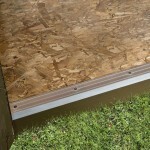 Common Size (w x d x h) 12' x 10' x 10'-0"
Actual Interior Dimensions (w x d) 120" x 144"
Actual Floor size 120" x 144"